Things are getting from bad to worse for AMD. First, the company announced that its financial results will be far less than those expected, now its CTO decides its time that him and the chip maker should part ways. What’s next? 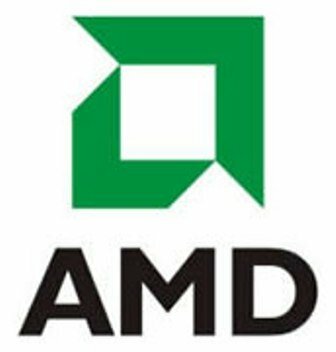 Financially speaking, AMD did warn its shareholders that the quarter revenues will be aroud 15% less than what the company gathered one year ago during the same period. So the business isn’t going very well. In case one should still have doubts about that, here’s another AMD plan: about 5% of its staff (800 to 850 people) are to be dismissed in order to cut the costs. Quite disturbing (if I were a shareholder), AMD announced that it has no replacement for Phil Hester (the now-former CTO). What more, Hester’s duties are to be shared among a team of people in the top management. Basically, this sounds like the board is rather stunned and doesn’t know what should be the next step. It’s like one of those situations when things are moving a bit too fast, so you take 5, sit down, take a deep breath and try to think things over. You feel that it’s either that or you might just fall off a cliff, ’cause you’re just overwhelmed. I think AMD is doing just that: freezing things over and trying to come up with a new strategy. Because they definitely need one. Some time ago the company was doing fine, with their processors beating the heat out of Intel’s not so great Prescott. Its market share was steadily rising and many were ready to claim that Intel had finally met its match. Then again, things do have an annoying tendency to change. Intel got back on the IT saddle and is doing rather fine right now, while AMD is losing people and its grasp on the market is getting weaker with every passing day. It’s definitely not the end (as some rushed to claim – perhaps the same persons eager to hail AMD as the new processors king? ), but its a bleak time for the three letters giant. Hopefully, the team will manage to get a good plan going and put the company back on its feet. I’m not an AMD fan (just as I’m not very fond of Intel either), I just like the idea of competition. When two forces (at least) collide, something good might come for the end-user. Just take a look on the software market, where Microsoft has been left for years with no real competitor for its Windows OS: Vista is piece of utter failure, and its slow march goes to prove it. So snap out of it, AMD! We don’t want you or Intel to come up with expensive slugs instead of processors!